Reigning world champion Tom Sykes claimed his 23rd World Superbike pole position at Laguna Seca ahead of tomorrow's races. 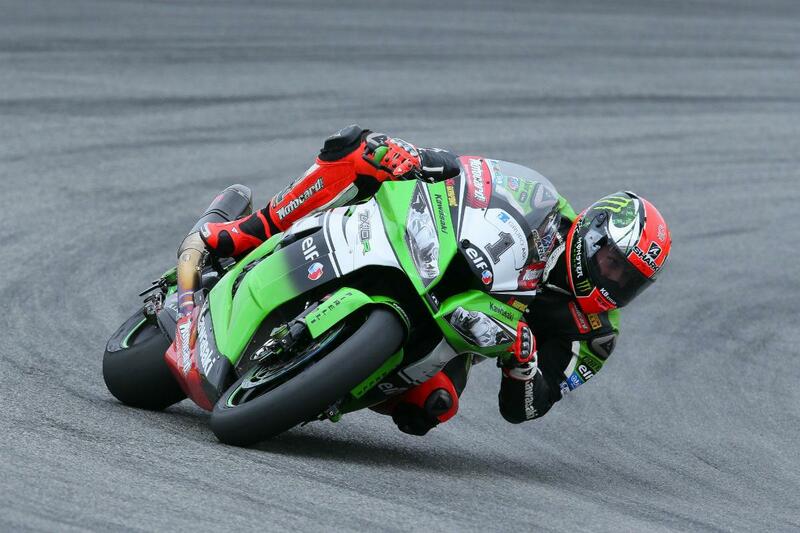 The Kawasaki rider set a best time of 1'21.811 to hed the front row ahead of Sylvain Guintoli and Chaz Davies. Davies' team-mate Davide Giugliano will start from fourth, ahead of Marco Melandri and Eugene Laverty. Jonathan Rea, who won last time out at Portimao, fell during the second superpole session and will start from ninth on the grid.